The far out wackyness is exactly what you should come for and expect from these too. Two actors are returning to work again for Don Verlean: the very silly and extremely talented Sam Rockwell and Jemaine Clement. They are joined by Amy Ryan, Will Forte and Danny McBride whose humor is perfectly suited for an absurdist comedy like one of Hess’. 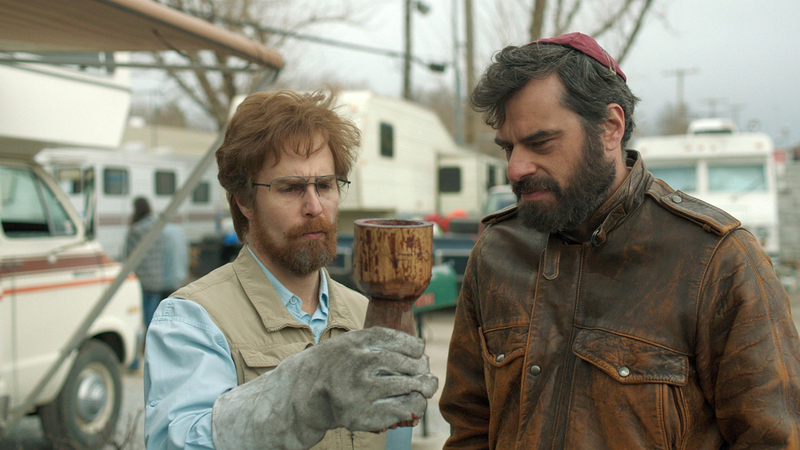 DON VERDEAN opens in theaters and On Demand DECEMBER 11, 2015. This entry was posted in News, Streaming and tagged Amy Ryan, danny mcbride, don verlean, Jared Hess, jemaine clement, jerusha hess, lionsgate, nacho libre, napoleon dynamite, sam rockwell, Will Forte by Melissa Hanson. Bookmark the permalink.